The Standard Schnauzer has a very high IQ, full of wisdom, smart. Standard Schnauzer originates comes from germany, he has divided into 3 types of varieties which is miniature, standard, and large. In this three types, Standard Schnauzer is the most ancient and is the oldest schnauzer dog breeds. As the 14-16 century, he was very popular as a family dog, but also used as a livestock guard dogs, general farm dogs and also as police dogs. These breeds of dogs was registered with AKC in 1904. He has double coat, which are thick, soft, close undercoat and dense, wiry outer coat. He has a distinctive muscular body and bushy eyebrows. Schnauzer leg hair is longer than the body hair. The Coat colors come with pure black, grey, salt and pepper. He is very intelligent, he has a very high IQ. He is protective, brave, highly spirited, affectionate and alert. He is intelligent, so it is easy to housebreak. Although he is playful but he is eager to learn as well. The obedience training and socialization training should start from an early age, this can help to promote more confident. The training should consistency, firmness and fairness and most importantly patience is the main factor. Brush the coat it every day with using bristle brush or curry bomb to keep clean and prevent matting to keep coat in a good condition. Also regularly remove ear wax, tartar and gum, and toe claw trimming. 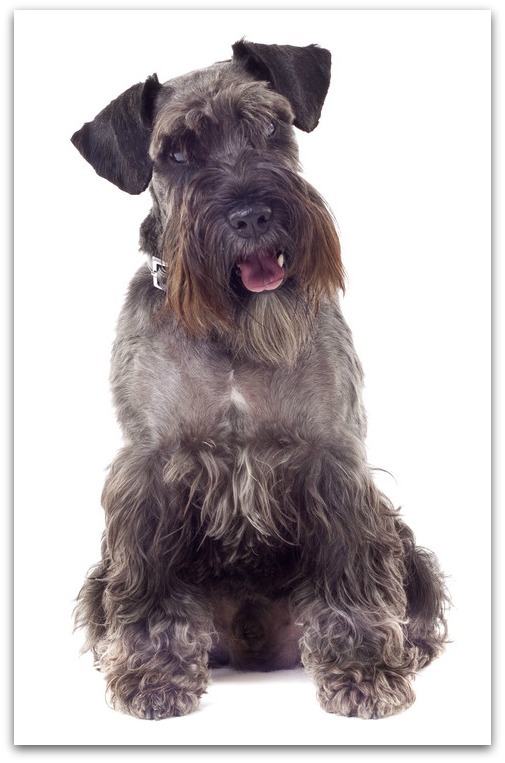 The Standard Schnauzer expression is alert, very brave, and extremely loyal. Is a most gentle companion dogs, usually can get along very well with children and their families.